obstacle in your family which you think of as ‘impossible’ to change. Be invited to pray for a ‘Cyrus’ event! • In ancient times a belief existed of different countries having different gods and the power of these ‘gods’ was territorial. Hence, the gods of Babylon would operate in Babylon. The God of Israel would operate in Israel? This event of liberation from Babylon marked a turning point in understanding. God is all powerful. Over all countries. Over all Kings. ‘There is no other’! Does your life reveal a trust and relationship with God who can make all Kings ‘run in his service… opening doors before him? • When Paul began his preaching in Thessalonika he met resistance from the Jews. He turned to the Greeks in this important Roman City. Upset, the Jewish leaders chased him and others out of town. He sent Timothy back to learn how the church of God was coping with the persecution. He congratulates them on their endurance. Is there a particular persecution you face in following Christ? Are you working on your faith, laboring in love, enduring in hope? If Timothy was to arrive at your door what would you share with him? contribution to the ‘common good’ and public services? What is your reaction to Jesus’ strikingly fresh detachment from money? reflection. We bear the imprint of our creator in our very being. We belong completely to God. Consider the depths of this truth. Do you repay and give your whole being to God grudgingly or gratefully? 33rd Sunday Yr A – Will I be judged on the use of my talents? The Book of Proverbs is a collection of wise sayings for daily living. Today a woman (not necessarily exceptional or beautiful as modern media might portray), does routine daily chores filled with wisdom and purpose. Her love extends beyond her family to the poor and needy. Her life and good works is spoken of ‘at the city gates’. Have you experienced ‘charm’ as deceptive and ‘beauty’ fleeting? Two quite different life-styles are presented as a ‘mirror’ to expose the reader. Where do you ‘see’ yourself? One ‘talent’ is a large weight of metal equivalent to 15 years of an average wage ($750,000!). Is the Master generous or mean? What image of God do you ‘read into the text’? Reflection Question 3: Trust in God is a consistent theme in the scripture readings this week. 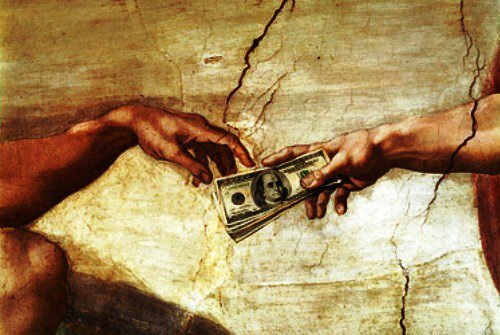 Jesus brushes away many small arguments and gets to the core issue: you cannot be the slave of God and money (mammon was a Hebrew word referring to property or anything of value, its modern translation has become ‘money’). Trust and Worry are connected. What we worry about reveals what we secretly trust in. What would you list as your top 3 worries? What do they ‘reveal’ about you? What do you think of Jesus’ 3 arguments against ‘worry’? Reflection Question 5: Zacchaeus was the Chief Tax Collector of the large city of Jericho. He would have been extremely wealthy. And yet he does something extremely humbling – he climbs a tree. He publicly admits he is short in front of the large crowd. He exposes himself to ridicule in his effort of seeking Jesus. Life changing meetings with Jesus are often the result of extraordinary actions by gospel characters. What made Zaccheaus climb the tree? Instead of climbing the tree, what action could you take to get closer to Jesus? What is the risk or fear that could stop you? Who could give you support or advice? Reflection Question 5: The Great Reversal of fortunes is a theme of the Gospel of Luke. The Rich will be brought low, the poor will be lifted up. However it is not riches themselves that are the problem (Abraham himself was a very rich man!). It is the cycle of wealth to so preoccupy and claim ones attention and energy so that the needs of others go unnoticed. The rich man does know Lazarus because he calls out his name. However there is a failure of conversion. He cannot bring himself to share of his wealth. The Rich Man claims he did not have a warning that this reversal would happen. If this parable truly describes what will happen in the after-life, what does it demand of you? What would it take for your to ‘share your wealth’? Have you given generously to the poor recently? Have you considered the difference between charity and true justice?